The magic of Bollywood brought the house down and had the fans screaming, whistling and dancing in the streets and aisles when it took over Tampa, Florida this past weekend. The stars descended on the Sunshine state and a Bollyfabulous time was had by all. We have been giving you sneak peeks along the way from Director of Choreography for the IIFA Magic of the Movies and TATA MOTORS IIFA AWARDS Shiamak Davar! 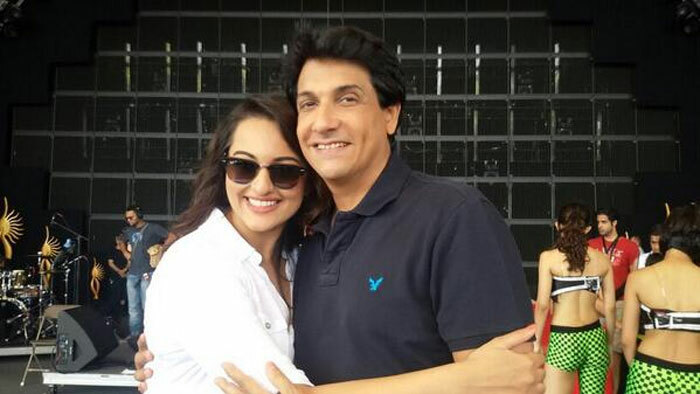 In an EXCLUSIVE interview, we caught up with Shiamak one last time now that the lights have dimmed, the music has stopped, and the finale is done to get the scoop and his thoughts on the entire IIFA experience. Check it out! How was the experience rehearsing in Tampa? The energy in Tampa was fabulous. The bright sunshine and the clear weather was just perfect. We had long hours of rehearsals and a long list of stars, so we had to get in a lot. What I always say and what is true is that my dance company has such great energy and stamina that it motivates me and inspires me always. They are sweating but smiling always and each one of them have such great style that I feel truly proud. You had a lot of late night rehearsals with the stars; tell us about how those went. When it comes to putting up a show at such a huge platform like IIFA, the pressure is immense, the venue RJ Stadium had such great infrastructure that I hope we come back soon for more shows. The Wizcraft team and my backstage team are the true heroes who worked round the clock and planned every detail for months. The stars are really sweethearts. As we have worked with each one of them the rapport was great between them and my dance company. As for me, I am humbled as each of them has this immense respect for me and to have such stars who are hassle free – choreographing becomes so much more easier. They all had a fixed schedule and it was like the stage was invaded by the stars! You had a fabulous response from the audiences to your choreography, how does that feel? The USA has this great love for Bollywood and I am sure this is just the beginning for more. The fans on the green carpet just made me feel like this huge icon, the love the respect just makes me and my dance company want to work harder. For each one who clapped, cheered and have sent me and the company compliments we can’t thank you enough! The stars were incredible in every number, what was it like to see them and your dance come alive on stage? So much of hard work and planning goes on putting a stage and when on the final day you see this finally come alive one is for sure overwhelmed and excited. I am blessed that legends like John Travolta and Kevin Spacey saw the acts. Madhuri Dixit: She took my heart away during the shooting of Dil Toh Pagal Hai and like this performance each time she dances it takes my breath away. What she gave on the stage was something that I can’t explain in words. Hrithik Roshan: As soon as the act got over, the way the audiences reacted it was a high not only for me and my dance company but for Duggu as well. He had given his best and his each move to each beat reflected that. Soon after the act he came and met all my company members and hugged them, thanked them…it was just the way one reacts after they have a bowling match. His finale act totally was MIND BLOWING. Deepika Padukone: She is diva and that is what she gave on the stage. If you are so dedicated to your work it ought to reflect in everything you do. Siddharth Malhotra: With his first time on the USA stage and working with me and my company he proved to all that he is here to stay he shines on stage and makes all the female drool and on stage he was like a star. How did the two winners’ of the dance competition Simmi Singh and Jitesh Shahani do? They worked hard, were not at all star struck and gave me their hundred percent and were pretty good on stage. I am proud of them and wish them luck. How do you think everything turned out? Simply perfect and the reaction and the feedback, which is pouring in, is just making us so proud. I want to thank each one for their love. Your favorite moment of the shows? The fact that we were putting up this show this event in USA was great. Personally for me, meeting the legendary John Travolta was one thing I will never forget. I have been his huge fan and seeing him dance to my tunes and talking to him, I felt like a child. During the show I got to also meet up with Kevin Spacey and it was extremely nice to see how humble and warm he was. I had invited also the Zumba head Mr. Beto to see the show and getting to spend time with him was a great moment for me and all of us as well. What did you love about IIFA and Tampa? The warmth, the love, the positivity, the openness, the calmness, and the great sunshine. Now that all the work is done, how does it feel? Each time a show gets over one gets a feel of how a parent feels after a kids exams. Relieved, relaxed and rejoiced. It’s great that my style and all the details in music and costumes were well appreciated. Such great work can happen when you have the fabulous Wiz Team and Mr. Viraf who we all adore. Quality time with my sister and family and planning for the opening of my dance school in NYC, which should be before the year ends. So watch out for the date. Thank you Mr. Davar! Here’s looking to IIFA 2015 and more bollytastic naach numbers in the future! 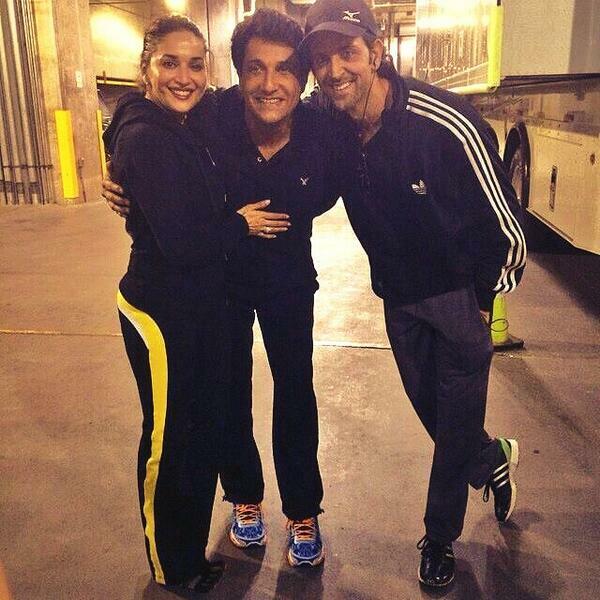 Be sure to check out our picture galleries to see more of Mr. Davar’s IIFA work on stage in all its glory!